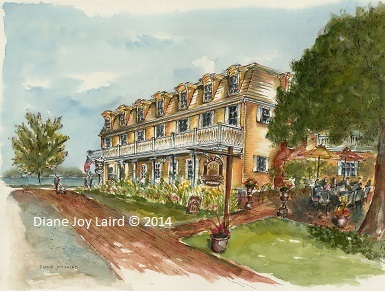 Take an “Afternoon Walk” at the waterfront Inn and Restaurant at the Robert Morris Inn (Oxford, MD). The original painting, completed by the artist during Plein Air Easton 2014, is available for purchase, as are prints and notecards. Please contact the artist for information.